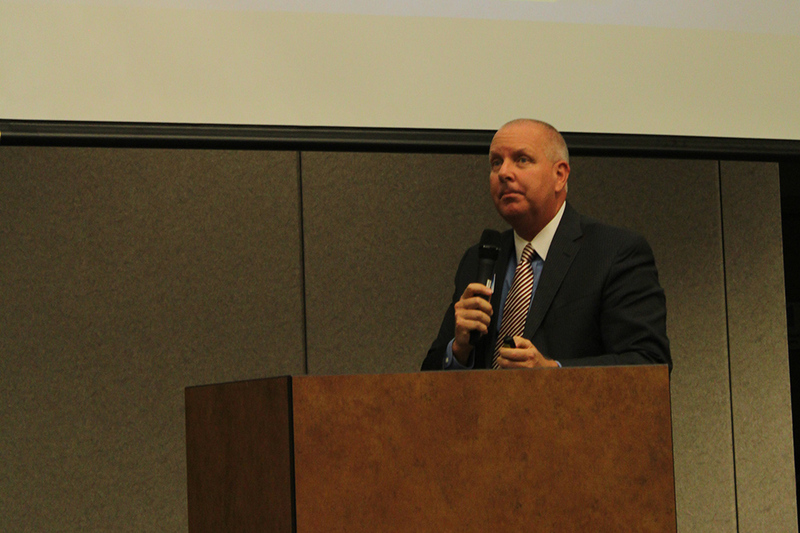 A presentation from the supervisor of the Maricopa Unified School District Transportation Department showed the school system pays its bus drivers less than a list of comparable districts. “You can see from the list there, we are dead-last,” said Tom Beckett, Human Resources director and transportation department liaison. 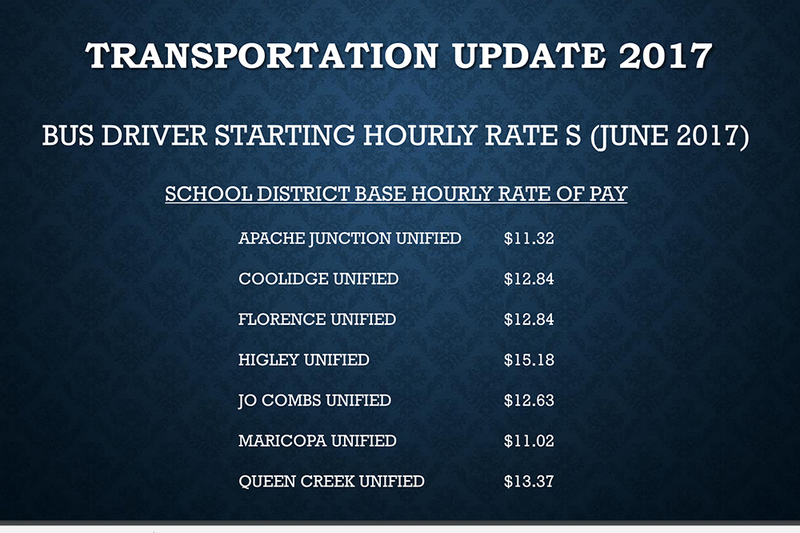 At MUSD, drivers are paid an hourly wage of $11.02; that’s more than $4 less per hour than the Higley Unified School District. The conversation during a meeting Nov. 8 came after a series of complaints from parents, alleging habitually tardy buses, poor communication from the district and overcrowding. “Sometimes it doesn’t appear that way, but we love those community calls and parents letting us know that things aren’t going as well as we’d like,” Beckett told the Governing Board. Despite grievances posted to social media, parents did not address the school officials during the meeting’s call-to-the-public forum. Beckett said the district has improved complaints made to the transportation department regarding poor communication by hiring front office staff to answer phones and send messages through the district’s ‘ConnectEd’ system after the position was vacant for over a month. The path toward solving the district’s transportation problems could also involve a future salary increase. 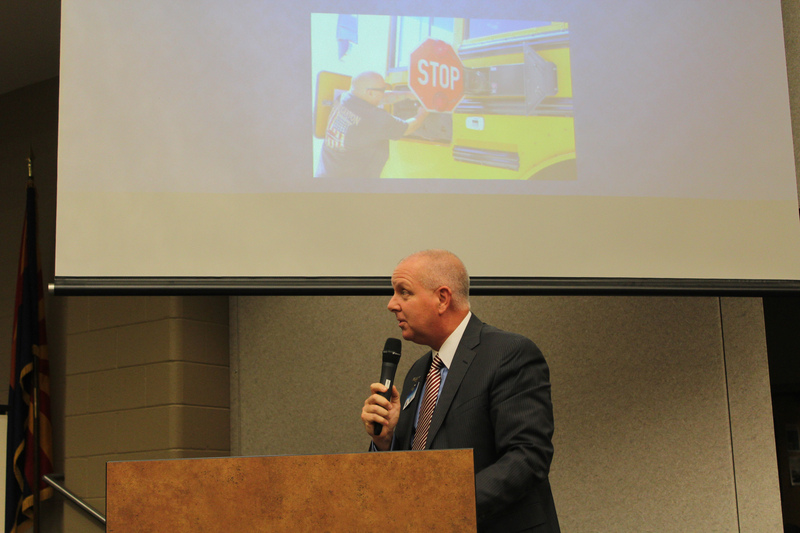 Beckett said a shortage of bus drivers is one reason for the department’s “challenges” that stem from the beginning of the school year. A bump in pay would be one solution to the problem, he said. Higher wages for bus drivers could attract and retain transportation employees in the department that currently employs 38 drivers and is in the process of hiring five more. To widen the pool, the district trains candidates, and aids them through state tests and endorsements, Beckett explained. It can take weeks for a candidate to become fully qualified before they get behind the wheel of a yellow bus, resulting in delays for a department that needs help immediately. The driver shortage has even affected driver training. “We have a full-time trainer, but unfortunately she’s been called out of training many times to drive a bus,” Beckett said. Members of the school board and Beckett agreed a pay increase for all classified employees will be something the district will consider as budget talks ramp up in the coming months. There was Prop 123 and then an approved override. It seems that no matter how much money gets poured into the schools, it’s not enough to take care of the front line, i.e., teachers and bus drivers. Meanwhile, we have administrators shopping around for better-paying jobs – probably spending more time polishing their resume than working on district issues.